Volunteering on a Group Care and Community project in Mexico with Projects Abroad is a challenging but incredibly rewarding pursuit that will see you playing an important role in helping children who have precious few other people to whom they can turn. Providing that you and your group have passion and commitment to the job and the people you are trying to help, we don’t expect or require you to have any previous experience. A working knowledge of Spanish is beneficial, but not essential if you are prepared to learn. Regardless of whether you’re a group from school, college, university, a company or an organisation, you will have a role to play and your contribution will be valued. The problems encountered by the children you are helping can be highly varied and so the range of skills needed from you and your group may have to be just as varied. Many of the children are desperate for attention and there will undoubtedly be children present who have health problems and who need special attention due to both mental and physical disabilities. Projects Abroad has a variety of care placements in Guadalajara - Mexico's second city - and in Ciudad Guzman, a smaller town in the volcanic region a couple of hours to the south. 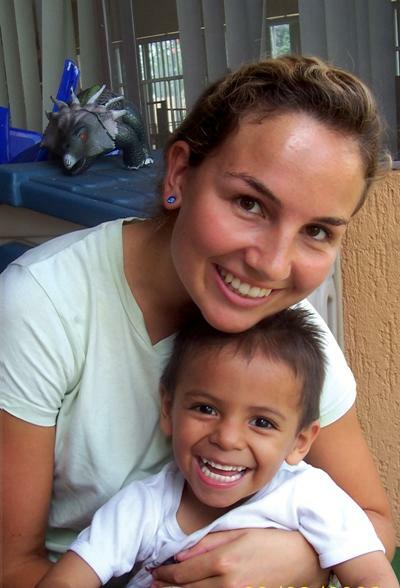 Volunteering in Mexico could see you working in a kindergarten, or a centre for children with mental and physical disabilities. Workshops for our Care volunteers are organised regularly by our Projects Abroad team on the ground in Mexico. These workshops provide you and your group with extra support throughout your stay, as well as giving you a valuable insight into the care system in Mexico and the background of the placement where you’re working. You’ll also receive suggestions and advice regarding activities to carry out at your care placement. As well as working in centres for the disabled and kindergartens, we also place groups at a day care centre for children receiving treatment for cancer. You are needed to assist the dedicated staff here, helping to keep the children entertained with a variety of activities while they wait for treatment and generally helping to add some positivity and fun into their difficult daily lives. The vast majority of the children we work with seem to have limitless energy and you are sure to get tired out before they do! You can help the children with everything from brushing their teeth to learning the words to the latest pop song. Any encouragement you can offer goes a long way towards building a child's self-esteem and confidence. However exhausted you feel at the end of the day, you will always feel that it has been well worth it. Aside from working in day care centres and kindergartens, we also try to arrange a community aspect for groups to get involved in. This can vary from renovating a room in one of the centres to building something needed by a community, such as a new room, a toilet block or a new playground area. These projects are great team building exercises as well as being hugely rewarding, and we’re sure the local community will be your best friends after!